The fight between Ottawa and our incumbent wireless carriers does not seem to have an end in sight. The latest email sent out by the Conservative Party of Canada to its members touts they will “not back down” against the PR campaign of incumbent wireless carriers. The email is signed off by Fred DeLorey, the Director of Political Operations for the Conservative Party. Support for our campaign to put consumers first is growing – but the big wireless companies are fighting our government with everything they’ve got. Thankfully, we’re not in this fight alone – thousands of Canadians, like you, have told us they are standing with us in this fight. So today, I wanted to let you know something important: our government will not back down. We’re going to keep fighting for more competition, lower prices, and more choices in the wireless market. We’re fighting for this because it’s the right thing to do – and we know that’s why you’re with us. 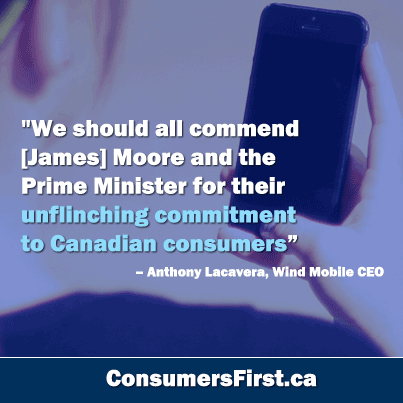 The email signs off by linking readers to WIND CEO Anthony’s Lacavera’s article “Time to separate myth and reality,” where he accused the Big 3 of serving up a “buffet of misinformation” to Canadian consumers with their ‘Fair for Canada’ campaign. Earlier today, the newly formed Unifor union, the country’s largest, held an anti-Verizon rally in downtown Toronto.